And by Big Day, I mean Driven. Today, it’s time to fill you in on the other updates the sedan saw in the days leading up to May 23rd. Naturally the new rear valance and wing were the main changes but I didn’t want to leave it at just those. A big event like Driven is a great reason/excuse/motivator to address some small details and cross some items off of the to-do list, so that’s what I did. One thing which had bugged me about the Focus for quite a while was its lack of a proper dead pedal. Yes, you can just place your foot on the carpet but I didn’t like doing that (Yeah, I’m picky like that) and I personally just didn’t understand why Ford didn’t include one from factory. Fortunately there are some aftermarket offerings now to give your left foot a place to rest. 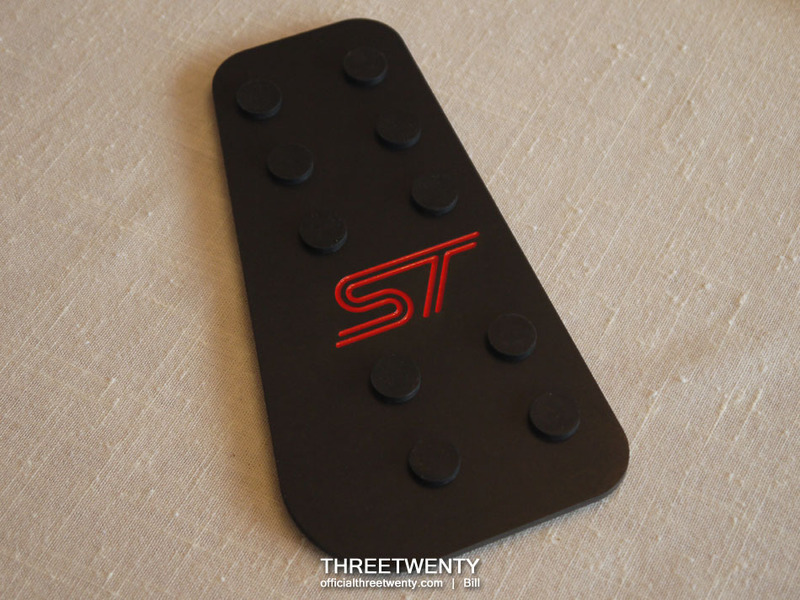 At the end of the day it is just a dead pedal though so I wasn’t going to be really concerned over which exact one I got, but then I came across this one for sale on a forum. 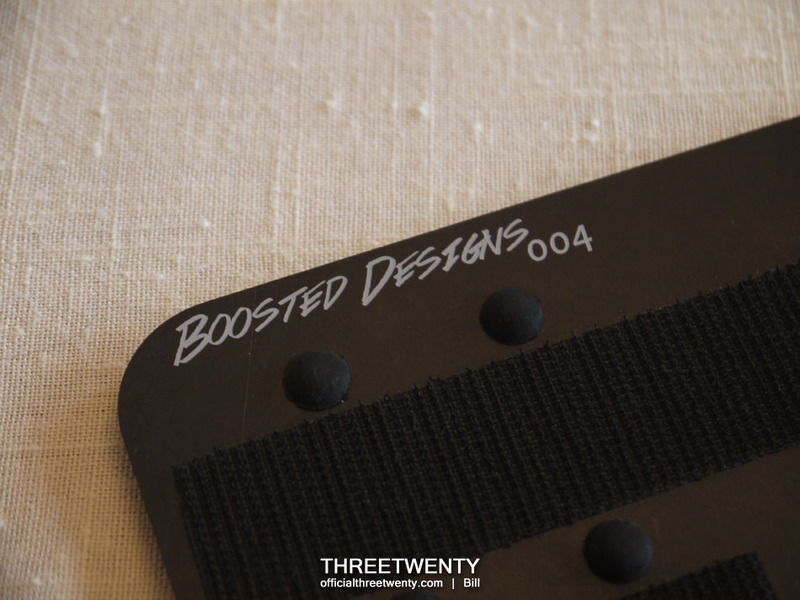 It’s from Boosted Designs and is one of their limited edition versions – specifically, #004/050. Just the fact that I could have #004 in my 4-door was enough for me to grab it, so I promptly sent off a PM and said I’d take it. The install was about as effortless as it can get. The Velcro strips on the back hold it in place, so all I had to do was place it on the carpet and it was ‘installed’. It left me wondering why I went so long without buying or making something to go here. Because I did go for so long without one though there were times that I found myself not even using it and I needed to remind myself to put my foot on it. Side note – yes, my floor mat has seen better days. It’ll be replaced. One area I wanted to focus more on this year was performance. 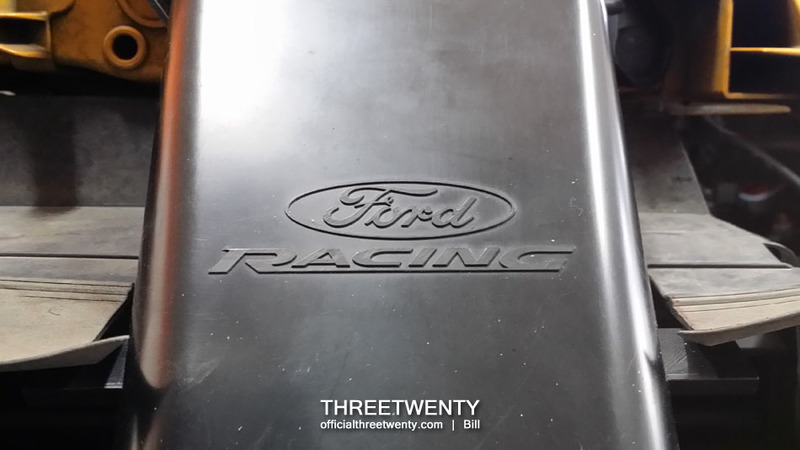 Having an N/A Mk3 means that there is a smaller list of parts available but having swapped to the ST front bumper meant I could make use of Ford Racing’s snorkel. Normally this comes as part of an intake kit but I was able to buy just the snorkel as Rocket Science had an extra one on hand and kindly offered it to me. Thank you guys! The opening for this sits at the top edge of the main grille and directs air straight to the air box – if you have one. My aftermarket intake means the filter sits uncovered in the engine compartment, but this still feeds fresh air straight to its corner of the bay. 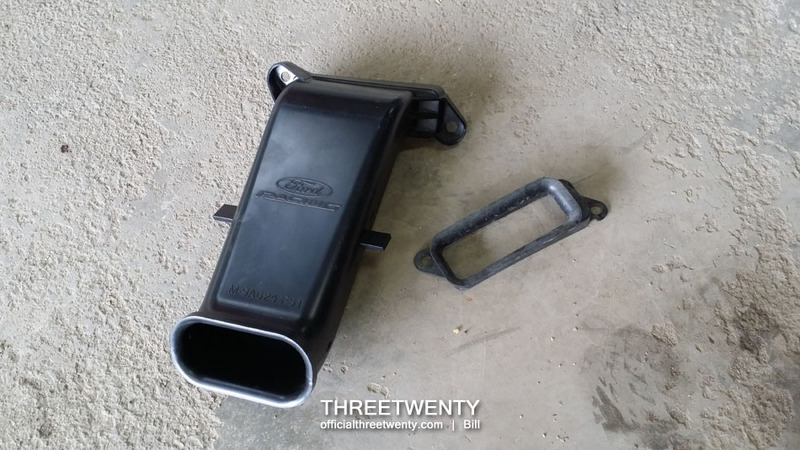 Some may recall that I had previously replaced the restrictive factory N/A snorkel with an OEM Focus ST ‘air velocity stack’ (Really, that’s the name) which is the small rectangular piece laying next to the snorkel here. At around $5 it’s a really inexpensive part which frankly doesn’t do much, but it’s a way to add a bit of ST flavour to a regular Mk3. 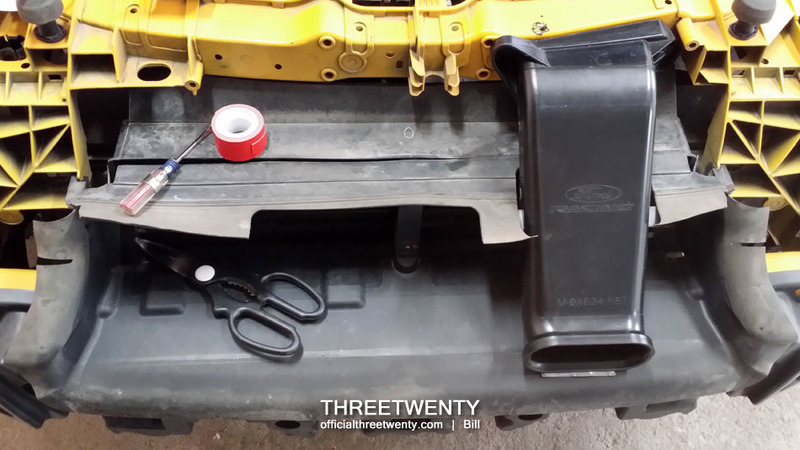 While the install of the snorkel itself takes just seconds (it’s held in with two plastic clips), the entire bumper has to come off in order to install it and that certainly does not take just seconds. I’ve had the front bumper off of this car multiple times before but I still fight with two of the bolts every time due to their awkward location. Apart from them the removal and installation is really straight-forward and easy. 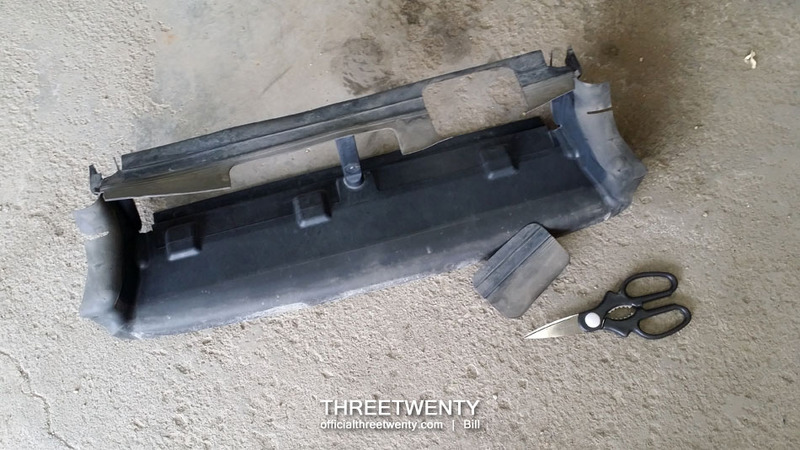 The next most time-consuming part is cutting the ducting that sits behind the bumper as the snorkel needs to occupy the same space as some of it. A template is provided and a standard pair of scissors make quick work of removing the unneeded material. With that taken care of, the ducting can be reinstalled and the snorkel fitted. I did add some double-sided 3M tape to hold the bottom of the snorkel against the ducting though as I noticed it had a tiny bit of play. This keeps it extra secure and prevents it from possibly rattling against the back of the grille as I drive. 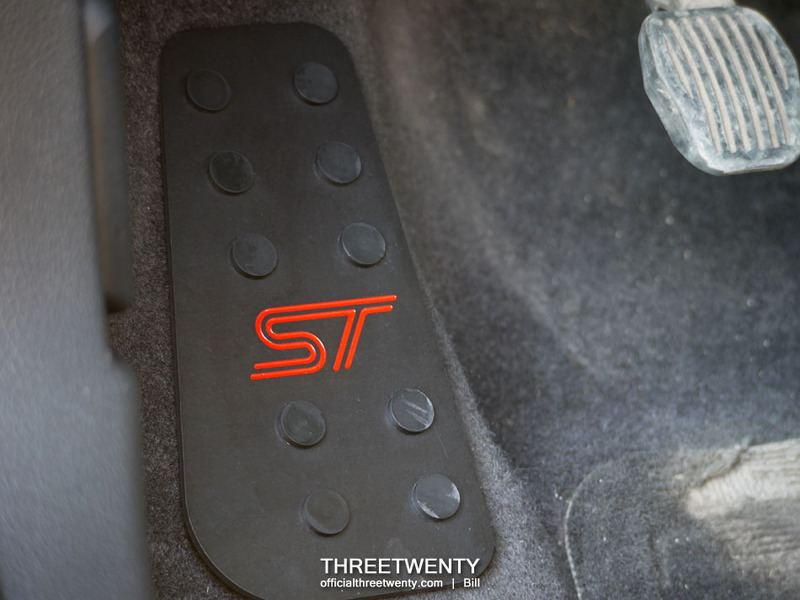 The last of the three small updates has been quickly mentioned on the blog already, when I posted about the sedan’s feature on the Project ST site. For the last few years I’ve had Muteki lug nuts which I have been very happy with. I had kept them for summer use only but this last winter, when I ran the Tarmacs, I used them as well. They’re still holding up just fine but when I saw these new Stance:Nation offerings I figured they’d be a nice little update for 2015. 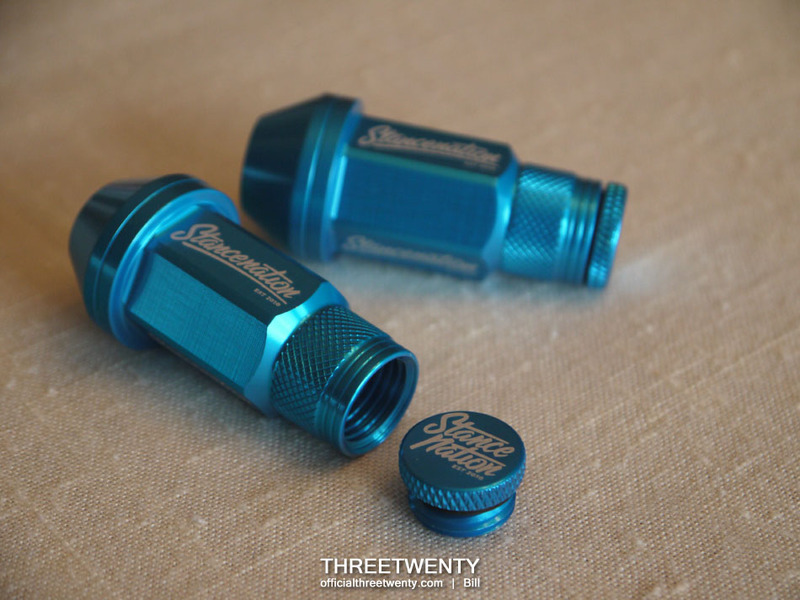 They’re more or less your standard lug nuts but feature removable end caps, giving the option of running them open or closed. 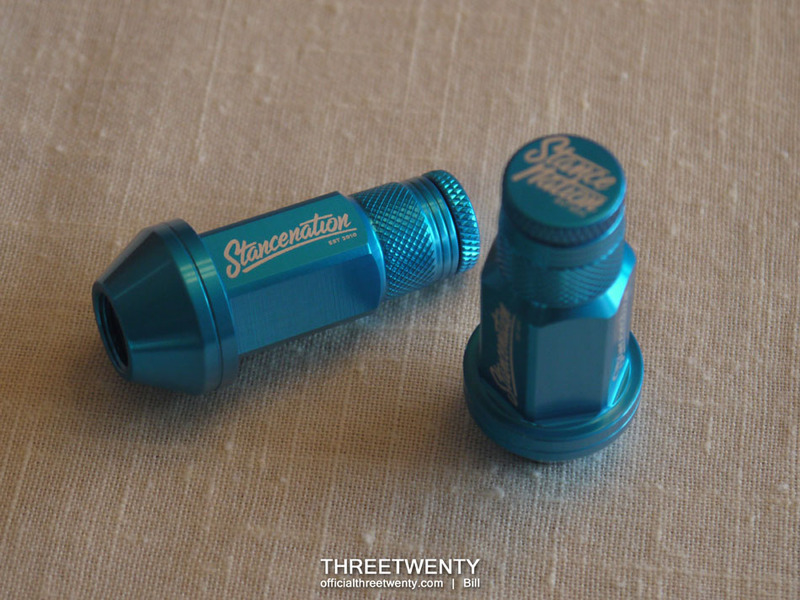 As far as I know these are 326 Power lug nuts rebranded as Stance:Nation since the two companies work closely together. A number of colours are available but blue was the only option for the sedan in order to stick with its colour scheme. Those who read the first update on the hatchback may recall that it too has these lug nuts, but in purple instead. I purposely waited to throw these on until just a couple of days before Driven as I had to clean the barrels of the Tarmacs anyway, and it didn’t make sense to change all of the lug nuts and then take them off again to remove the wheels for cleaning. The garage was full at that time so there I was, out in the street with the Focus on jackstands, wheels off. My neighbours both understand and put up with this fortunately. Along with colour, buyers of these can also choose from three different sizes (lengths). Both cars received the shortest lug nuts offered as I determined they’d be the same size as my old Mutekis which I quite liked. That’s all for today, but there was a fourth new part I was hoping to fit for Driven that ended up just going in early last week. I did say that I wanted to focus more on performance this year, and I didn’t stop with just an air snorkel. The next piece stiffened up the sedan’s body a little bit more and I am really liking the results. As always I’ll be out at Grey Eagle tonight, and of course – Happy Canada Day!